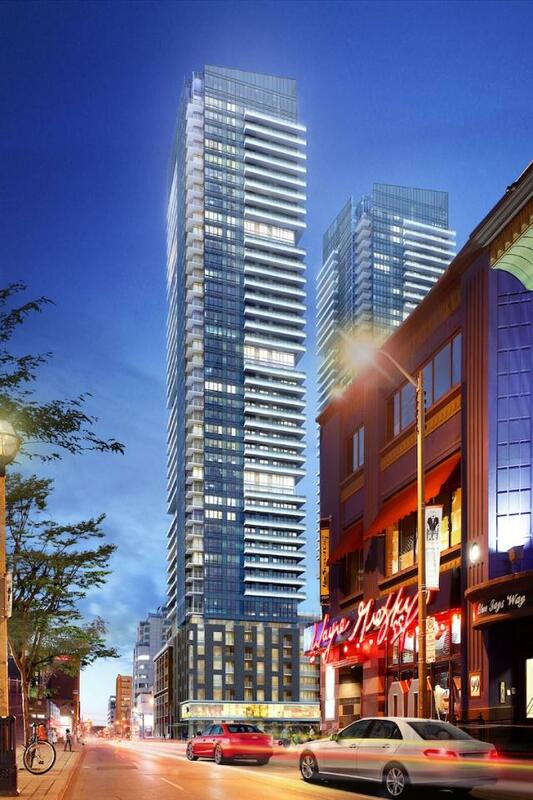 With historic roots and modern panache, the two towers of King Blue Condominiums are designed to make a striking imprint on Toronto’s Entertainment District. A 48-storey tower, a 44-storey tower, and podiums of various heights frame a courtyard, creating in effect a huge outdoor “room” whose walls are defined by the lobbies of the residential towers and integrated Theatre Museum Canada. Easton’s Group of Hotels brings a reputation for excellence to the total-lifestyle experience taking shape at King Blue. Developer: Greenland Group VIP sales are currently underway for this project.